Home/Case study/Is the unitary character of EU trademarks at risk? Sometimes a single judgement can turn a regulation on its head. The case set out here concerns the unitary character of an EU trademark. As a rule, a European trademark provides protection across the European Union. However, the Court of Justice recently took a different view when it considered a case where the confusion affected only some countries. Would you like to receive the case study? Please leave your email address and we will forward the case study to you. Did you like the case study? Please share! 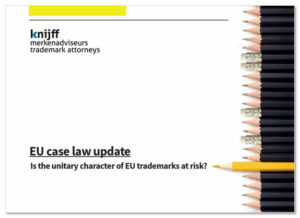 Would you like more information if the unitary character of EU trademarks is at risk?